I don’t often write book reviews – most of my reading is done for research purposes rather than enjoyment. However, it’s not often that a book is so compelling that I find myself waking up an hour early every day just to fit in some extra reading time. I am not a morning person. In fact, I despise their very existence. But David Mitchell’s new novel The Bone Clocks had me eagerly reaching for the copy on my bedside table as the sun was cresting the horizon. Metaphysical thriller, meditation on mortality and chronicle of our self-devouring times, this is the kaleidoscopic new novel from the author of Cloud Atlas. One drowsy summer’s day in 1984, teenage runaway Holly Sykes encounters a strange woman who offers a small kindness in exchange for ‘asylum’. Decades will pass before Holly understands exactly what sort of asylum the woman was seeking… The Bone Clocks follows the twists and turns of Holly’s life from a scarred adolescence in Gravesend to old age on Ireland’s Atlantic coast as Europe’s oil supply dries up – a life not so far out of the ordinary, yet punctuated by flashes of precognition, visits from people who emerge from thin air and brief lapses in the laws of reality. For Holly Sykes – daughter, sister, mother, guardian – is also an unwitting player in a murderous feud played out in the shadows and margins of our world, and may prove to be its decisive weapon. The novel is a frenetic combination of realism and fantasy. Holly finds herself on the fringes of a war between two groups of immortals – the Horologists and Anchorites. Her encounters with these characters, and the tale of how she and her family become embroiled in their feud, unfolds over the course of decades. Like Mitchell’s Cloud Atlas (2004), the novel is divided into six sections, each told by a different narrator. Part of the pleasure of the novel is trying to figure out how the pieces of the jigsaw fit together, with a complex pattern forming throughout the novel. It’s an ambitious novel – clever, meticulous, tragic, and completely fantastical – but it becomes utterly plausible in Mitchell’s hands. Once again, Mitchell demonstrates that he is able to write fluently across a diverse range of styles and voices. The arrogant Cambridge sneer of Hugo Lamb is a stark contrast to the broad Kentish dialect spoken by Holly Sykes. Although Mitchell doesn’t regain the great height of linguistic originality that he did in Cloud Atlas, each new narrator brings an idiosyncratic charm to the piece. The characters themselves help to ground the novel in reality. Holly’s opening narration is humourously evocative of a love-sick teenager, complete with cringe-inducing references to 1980’s pop culture. Our next narrator, the unscrupulous Hugo Lamb, has opportunities of redemption that are always offered, yet never accepted – I get the impression that Mitchell reveled in his creation of Lamb’s despicable schemes. The different sections of the novel offer a critique of their respective decades, with the dystopian future of 2043 somewhat mirroring Thatcher’s England. The war in Iraq is explored through the character of Ed Brubeck, a journalist who grapples with the fear that he is a war junkie. It is here that Mitchell’s prose is most scathing, as he damningly details America’s intervention in the Middle East. But I was delighted to find that parts of the novel were set in my home town of Perth, Western Australia. Mitchell’s descriptions of Rottnest Island reminded me of those frivolous summer days spent riding up to the lighthouse. 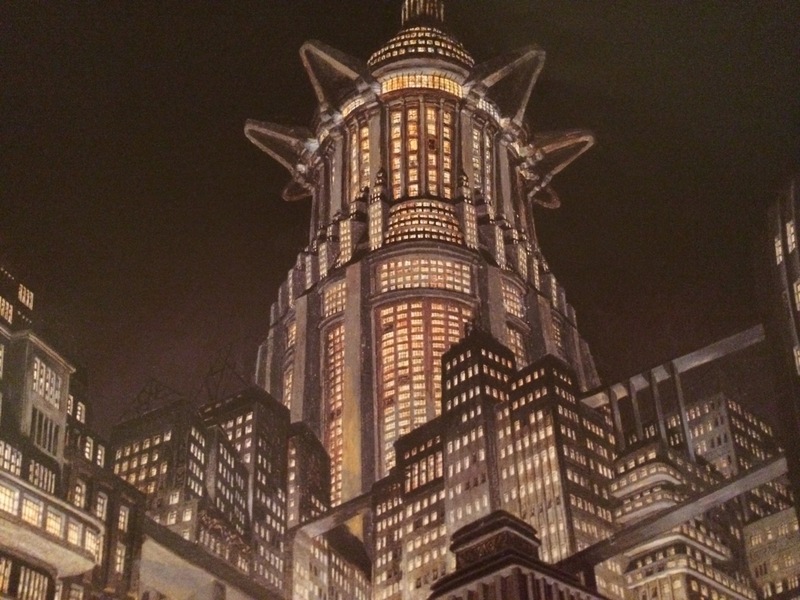 Yet it is the bleak dystopia at the end of the novel – the Endarkenment – that may be his greatest triumph. The harrowing depiction of what happens when Europe’s oil supply runs out and civilization crumbles is both a sobering end to the story and a stern warning about our future. Mitchell has here made a significant contribution to the post-holocaust genre, and I hope he returns to this setting in the future. The novel is at its most powerful when Mitchell examines the insignificance of individuals in the face of history. Even the immortal characters acknowledge that time marches on with little regard for their lives. Time itself is an unspoken character in this tale. It flows on inexorably, from Thatcher to Iraq to the Endarkenment, and the actions of one character cannot change it. The brutality of the colonists in early Western Australia is mirrored in the emerging barbarism of the Endarkenment militias. Humanity remains unchanged across centuries. The significance of the title, when revealed, is one of the most poignant moments in the story. My one critique of the novel is that one of the sections – Crispin Hershey’s Lonely Planet – didn’t contribute much to the overall plot regarding Holly and the immortals. There were a few moments of revelation here, but the focus was on the development of Hershey’s character, which amounted to very little by the end of the novel. Having said that, I adored reading this section – it was funny, charming, and I enjoyed the not-so-subtle caricatures of both David Mitchell and Martin Amis. Hershey was ultimately a lovable character, yet he was the least important narrator, in terms of the overall storyline. I wouldn’t be able to review this novel without comparing it to Mitchell’s other masterpiece. Cloud Atlas had an enormous influence on my own writing, and I am happy to admit that it’s one of my favourite books. 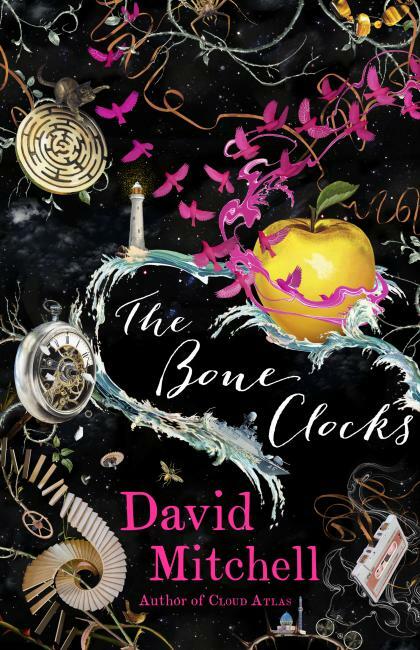 The Bone Clocks feels like a thematic sequel to Cloud Atlas, and perhaps even surpasses it in terms of stylistic ambition. Both novels take place over different time periods, even though the periods in The Bone Clocks are all between 1984 and 2043, which heralds a much tighter narrative. Yet Mitchell makes each section feel vastly different to each other, successfully capturing how the world can transform in just a few years. The post-9/11 world is a vastly different landscape than the comparative innocence of the 1990’s. Both novels offer a meditation on the reincarnation of souls, though The Bone Clocks is less abstract in its treatment, with Mitchell constructing a cohesive system of reincarnation that almost feels plausible. And both novels focus on the redemptive power of love – an admittedly saccharine sentiment, yet the characters are so grounded – so real – that I couldn’t help hoping for a happy ending. Perhaps the most enjoyable part of this novel is seeing how it ties together Mitchell’s other works, but I certainly won’t spoil that surprise. Needless to say, my mornings will be dull without The Bone Clocks to keep me company. But it will be reverberating in my thoughts for a long time to come.